I’ve always enjoyed taking picture even as a kid. My dad let me use his old Brownie camera to take pictures. Much to his chagrin I used most of the film to shoot mud puddles, turtles and frogs since I spent most of my childhood at the local creek hunting turtles, frogs and fishing. I attended graduate school in Denver and then went on to my first job in Tacoma, Washington. During the 60’s I spent most of my time hiking and mountain climbing in Colorado and Washington State. I always had a camera with me. When we had a photo session after a climb everyone used to laugh because my photos always had a rock or tree in the foreground. In the late 60’s I moved back to Wisconsin and my interest changed to international travel. I traveled through South Amercia Africa, Asia and Europe again with my camera in hand. On these trips I was primarily interested in landscape photography and the life of the residents. I was particularly interested in documenting farming methods. I have thousands of slides from this period but have not converted them to digital images. I lost interest in photography in the early 80’s and put my camera away and didn’t take it out until the late 80’s when my son was old enough to take hiking. With my interest in hiking rekindled the camera came back out. I spent this time concentrating on landscape photography in the Badlands and Black Hills of South Dakota. I also spend a number of years hiking in the canyonlands of Arizona, Colorado and Utah. Most of these photos were preserved on print format and have not been converted to digital. After Retirement in 2005 I became more serious about photography. I made the switch to a digital camera and started reading photography books and photography magazines to improve my efforts. In retirement I have continued my interest in Landscape photography but have also added bird and macro photography to my areas of interest. At this point I don’t have a particular specialty in photography. To borrow a phrase from gardening I tend to shoot what is in season. In the winter its snow, ice and birds, in the spring flowers, in the summer waterfalls, flowers, birds and butterflies and in the fall leaves. If anything would describe my efforts it would be intimate nature regardless of the subject. Although I sometimes sell a photo I still look upon photography as a hobby rather than a business and have been reluctant to market my photos. I have had photos published in Birds and Blooms and Bird Watching Magazine. I sometimes enter photos in contests and have had several published on regional newspapers. Several of my photos were selected as the Editors Choice in the Wisconsin Trails photo contest. I’ve also had a number of photos published in the Annual Great Lakes Photo Contest Calendar. Most recently I was awarded two first places in the River Alliance Photo Contest. One for Animals and another for Plants. I was also a presenter at a Minnesota Landscape Arboretum Symposium entitled “Capturing the Essence of Place”. Most rewarding was the request of the daughter of a local resident to use my photos of Hoffman Hills in the memorial service for her father. He donated the land that became Hoffman Hills Recreation Area and it is one of my favorite local sites for photography. Hey Philip, Awesome images. I’d love to use your image of Superior at dawn with the lighthouses at the canal for some promotion for an event at my church. Screen, social, and a few printed cards. I can credit the photo. Would this be okay? Thanks! I retired in 2004. 🙂 You have gorgeous photos. Congratulations! I love travelling and photographing. Phil – I would like to use your picture from the Copperdog150 Eagle Harbor Checkpoint on the Copperdog150 site to advertise the Eagle Harbor Inn Chili fundraiser taking place December 27th. Would this be okay? Great pictures of the race. Philip, I work for Minnesota State Parks and would love to get permission to use your photo of ice at Shovel Point in Tettegouche State Park in our Traveler e-newsletter that goes out to more than 10,000 families. We can credit your name on the photo. I would be interested in licensing some your photos to put on a product I sell. Is that possible. I would be open to hearing what you have in mind. 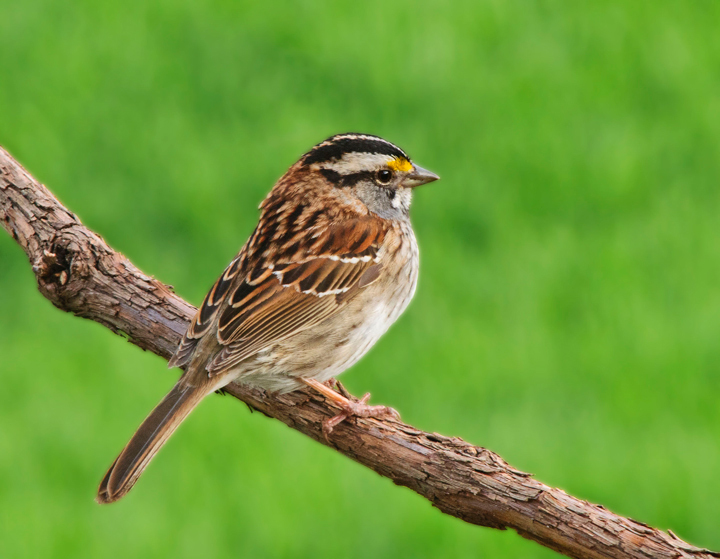 I would like to use your tan-morph white-throated sparrow photo for an upcoming academic research talk. I will credit the photo, but wanted to seek permission first. Thanks for asking. Yes you can use the photo. Hi Philip, I’m writing from Madison Audubon Society, a non-profit org in Wisconsin that focuses on bird conservation. We’ve been an the hunt for a great photo of a Baltimore oriole fledgling (which is a challenge indeed!) 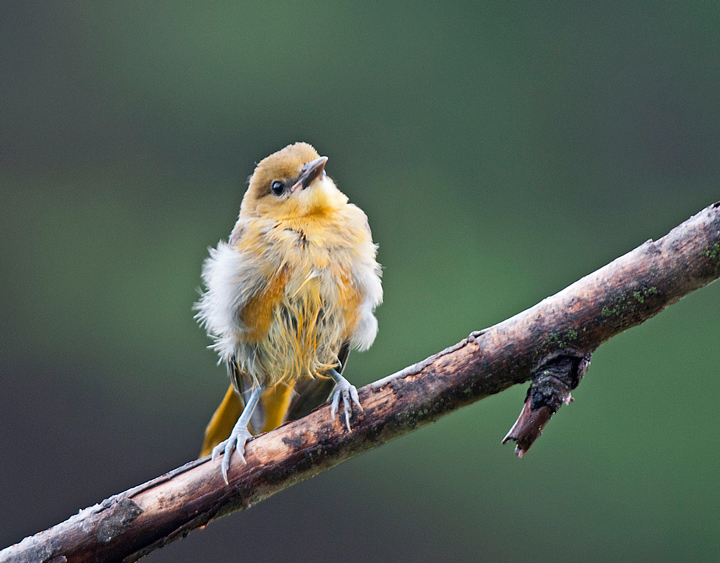 to use in our midyear fundraising campaign, and came across your photo (https://philipschwarzphotography.files.wordpress.com/2013/07/baltimore-oriole-fledgling-13-7-_1707.jpg). Would you be willing to allow us to add your photo to our pool of contenders for potential use? If so, we will just need a high-res version of the photo, and will of course give you credit. You can use it but I can’t get you a high res until June 1st. I’m currently out of the country . I am a scientist and study the effects of high temperatures on birds. Your photos of birds panting illustrate this challenge well (https://philipschwarzphotography.wordpress.com/2012/07/09/panting-birds/). Would you be willing to allow me to use these images for scientific presentations? These presentations are educational and not for profit. I would place your name at the bottom of the image. Regardless, thank you for sharing your beautiful images online! Sorry for the delay in responding. I’ve been on a two week hiking trip. Yes you can use the photos. Whoa! Sounds nice. Thank you! Hi, Phillip – Love your work! My go to lens for birds is a Tamron 150-600mm. I also have a Nikon 500mm with a 1.4 extender that I use to photograph smaller birds around the farm. I find the Nikon is too heavy for me to use out in the field. I would recommend the Tamron for general use. I would love the full size jpegs if you don’t mind sending them over. Such wonderful photos of the Ice Caves we can’t wait to share them this winter! I’m wondering if I would be able to use one of your ice cave images in an article on Travelwisconsin.com. Appropriate photo credit will be given. Sure. Let me know if you need the original JPEG file. Hello Phillip. I am a volunteer for Sea and Sage Audubon Society in southern California. I am working on one of six nature kits that are sponsored by the Education Program, and loaned out free of charge to homeschools. The kit I am working on is Butterflies and Moths. I would like to use some of your wonderful photos to illustrate pages in the kit’s notebook, pages that are lessons to be used by the teachers. Thanks for your time. Ok you will need to let me know which photos you need. I was wondering if I could have permission to use one or two of these photos for a presentation I’m working on. Recently there was a lot of deforestation in the forest surrounding my house, and by the time I had got out to take photographs all of their equipment and their docking area was cleared up. As I recall the first ship came in at sunrise on Thursday Morning. By midday Canal Park was a zoo. There were some good opportunities to photograph the ships under sail later in the weekend. I thought the best time was Monday around midday when all of the ships sailed out of the harbor. A lot fewer people around. I’ve attached links to the blogs that I wrote during the 2013 event. We just arrived in Duluth this afternoon. The Mist of Avalon is at the DECC and the Pride of Baltimore II is anchored behind the Kwik Trip in Superior, Wisconsin. Hello, Im a college student and have a minor in journalism. For our class, we are creating an entire magazine based on Sustainability of wildlife and other various topics. I would love to use your Seney National Wildlife Refuge Sunset picture as part of my cover design. Please let me know if that’s okay with you. I will credit you properly. Also, your photography is great! sure feel free to use it. Please send me a photo of the finished product. Hello Philip! I am writing a blog on the Tussock Moth caterpillar outbreak we’re enduring, and I would love to use your photos if that’s okay! I would of course accredit you for the photos and link back to your photography blog. Please let me know if that would be okay! You’ve got some great work, I particularly love your photos of Apostle Island’s Ice Caves. Please feel free to use the photo. they are beautiful caterpillars. I’ve only seen the one. Thank you very much, Philip! They sure are, here in Colorado Springs, we’re enduring an outbreak and they are everywhere!! Very happy to have stumbled upon your blog, you have a great eye. I found photos of the Duluth Yacht Club ‘s Wednesday Night Races on Google Images and posted Team Arbitrage on my Facebook page (with photo credit to you). FYI, boat owners LOVE seeing pictures of their boats! I particularly love the shot of Team Arbitrage and Team Golden Draft. Arbitrage is flying her win pennants, and Golden Draft is the first team my son sailed with. Arby’s skipper is my brother. Helmsman is my son, and her fore decker is my daughter. Team Arbitrage is mostly current students and alumni from Harbor City International high school here in Duluth. It is the youngest team in the fleet. Thank you! Thanks for the info. I love to photograph the boats but don’t have a clue about racing. Are you certain the bathing juvenile sparrow’s not a House (English) Sparrow? Crown, bill, and supercilium seem wrong for Song Sparrow. It could be an English Sparrow but I rarely see English Sparrows on the farm for some strange reason. You say that your first job was in Tacoma. I can say that my first breath was in Tacoma. Yes, I was born there, but my family moved back to New York not long afterwards, so I have no memory of my early days there. In order to get my plant and fowl activity time line correct, I was wondering if you could tell me whether of not willows are still budded when goslings are on the ground. I know they are late winter/early spring buds, but I am not sure when they typically bloom to flowers, and then leaf out. Thanks for the opportunity to see wonderful photos and learn. Please feel free to use the photo. I would like a copy of the card. I’ve thought about doing the same type of thing but never have gotten around to it.